lovely and nostalgic - Congrats! Nothing like the old vintage barber items, congrats on the HM. Great set of shelves. You've fitted this perfectly into your composition. Top 3. 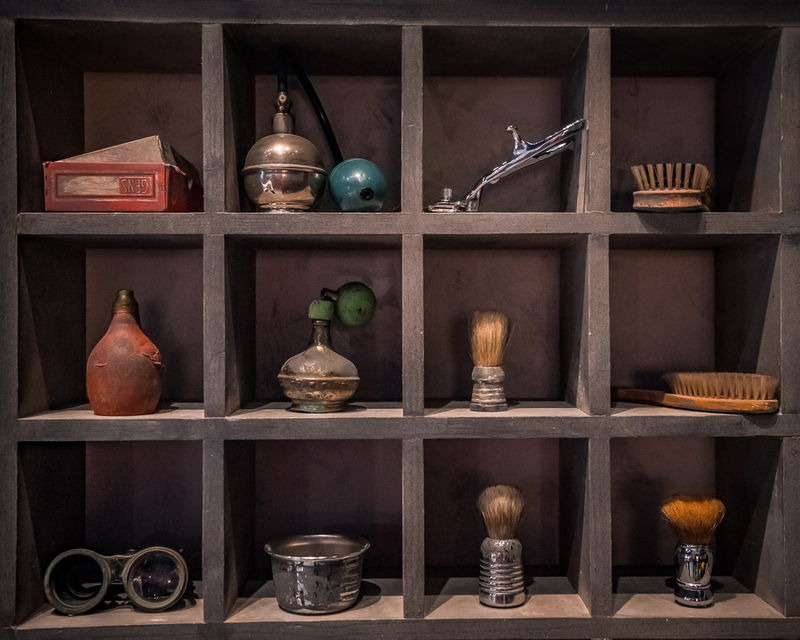 Aside from some lens distortion (correctable), its a nice and clean display of these old artifacts. Interesting retro rendition. I�m interested to know what that is in the bottom left box? fun and tidy. well shot. Proudly hosted by Sargasso Networks. Current Server Time: 04/20/2019 02:28:32 PM EDT.